Every morning at our hotel by the Red Sea the guy making eggs would hum a little song. It was a happy song, though I had never heard the tune. It was always the same. He was always happy, cooking eggs, humming a song of Egypt. I would never have chosen to travel to Egypt on my own, yet luckily I have friends who see the world differently. Our French friend Cat heard from her friends that Egypt was a great vacation experience and that the fear of terrorist attacks that had seriously affected tourism had subsided. She pushed for us to go there on a winter vacation, and thus it came to pass. Egypt is so old. 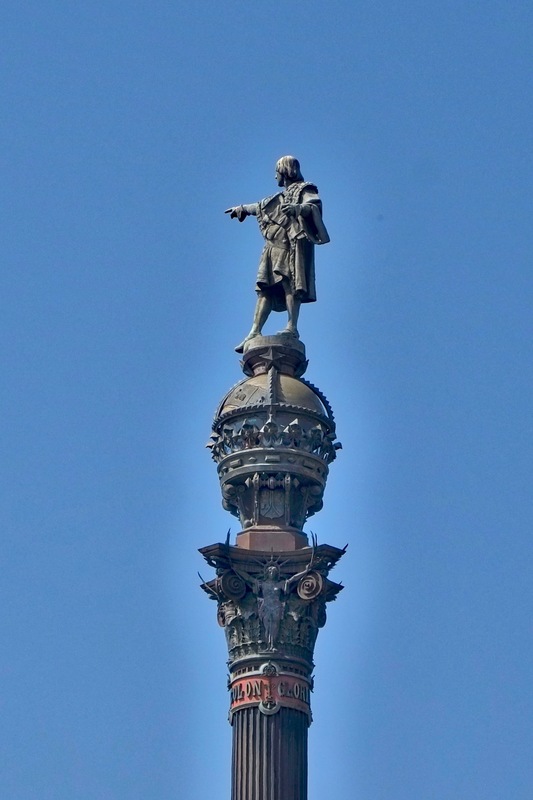 Go back a thousand years in our history to the beginnings of France and England. Continue back another thousand to the beginning of Christianity. Keep going back 300 more years, to the end of the Greeks and also the end of the Egyptian Pharaohs. Finally go back 2700 more years to the beginning of recorded Egyptian history (3000 BC), though the culture had no doubt been preparing itself for several hundred years before that time. 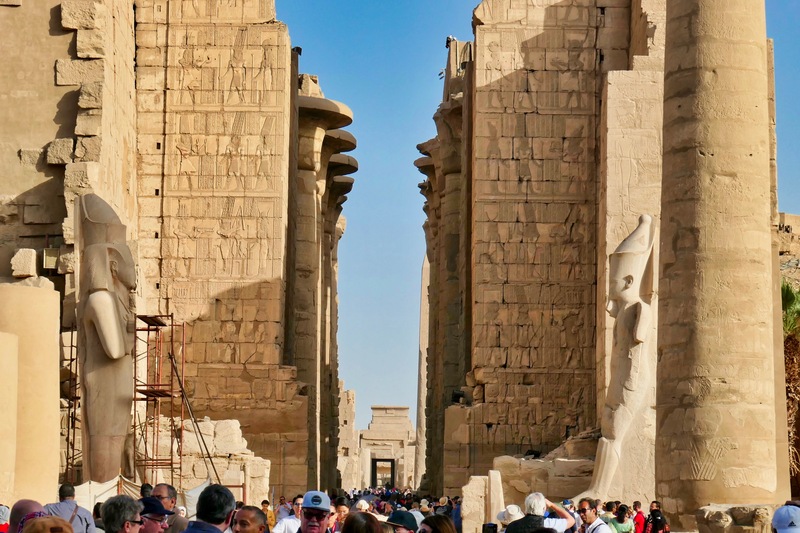 The reign of Egyptian Pharaohs endured far longer than has our western culture. Several women with their animals showed up at our first rest stop to earn money by posing for photos. Yet there is a modern day Egypt. 100 million people live there, 90% Muslim, 10% Coptic Christian (Coptic is a Greek word meaning Egyptian). The population is poor by western standards, yet richer than you would think in terms of material possessions, health care, infant survival, and many other measures of the quality of life (see the short video clip below). Tourism is the largest component of their economy. 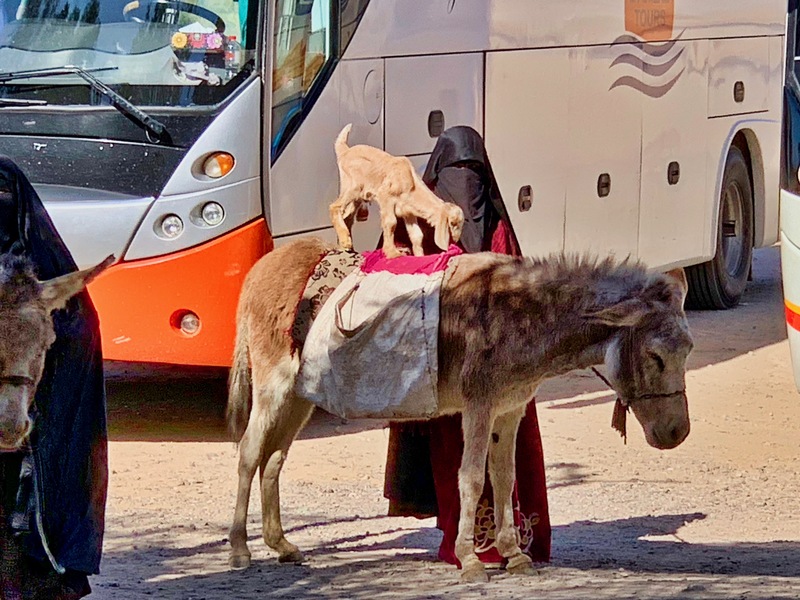 Despite perceptions, our guide told us that Christians and Muslims get along, that the culture is centered on the family and is traditional to a far greater extent than we accept today in the west. Another guide talked about the principles of Islam, the difficulty of remaining celibate until marriage, which typically for men is in their 30s and for women in their mid 20s. Religious law still prescribes death for the woman who becomes pregnant before marriage. Very unsettling for westerners. Travel to Egypt was harsh. Our flight on FlyEgypt Air was spartan – they serve free water, and the seats do not recline. People were packed in like sardines. 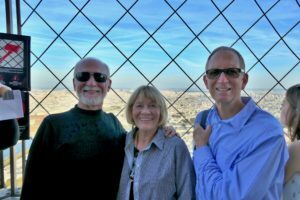 Our flight from Paris to Hurghada, halfway down the country along the Red Sea, was delayed 3 hours, resulting in our spending a night in a hotel on the Red Sea coast before arriving at our Nile cruise boat. We were late to bed and set out early the next morning by bus for the Nile. All slack was removed from our tour schedule because of that delay. Still, once aboard our boat on the Nile, everything was sublime. It was a fine hotel. The weather was mid 70s (25°C) and sunny. There was a gentle breeze. 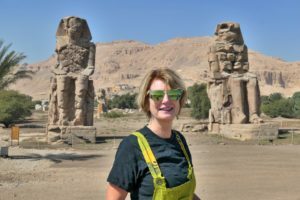 We spent a week cruising down the Nile, starting at Luxor (Thebes in ancient times), going to Aswan (where Egypt twice has built a dam to contain the flooding of the Nile), and then returning to Luxor. 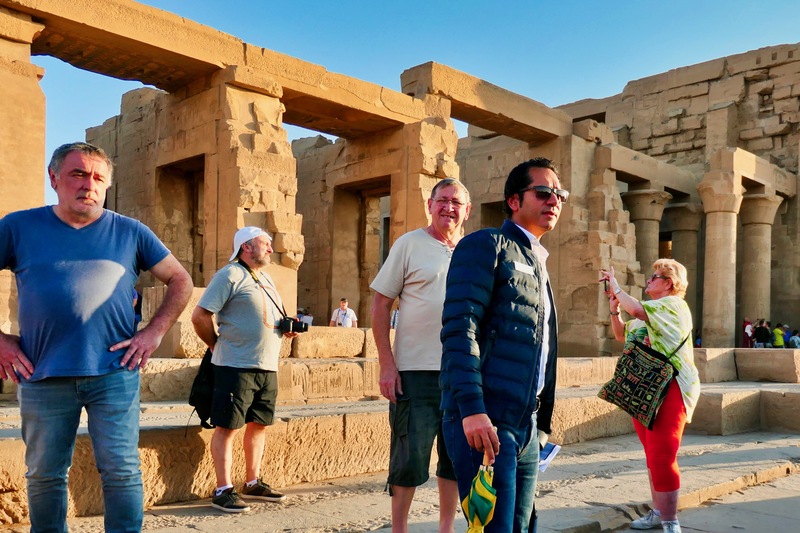 We went on a number of tours along the way to see the temples at Kom Ombo, the Temple of Isis on the Island of Philae, Abu Simbel, Esna, Karnak, Luxor, some tombs at the Valley of the Kings, and other tourist activities. When we weren’t on tour, the boat was underway, and we were enjoying the sun and perfect weather while watching and listening to the sounds on the banks of the Nile as we passed by. 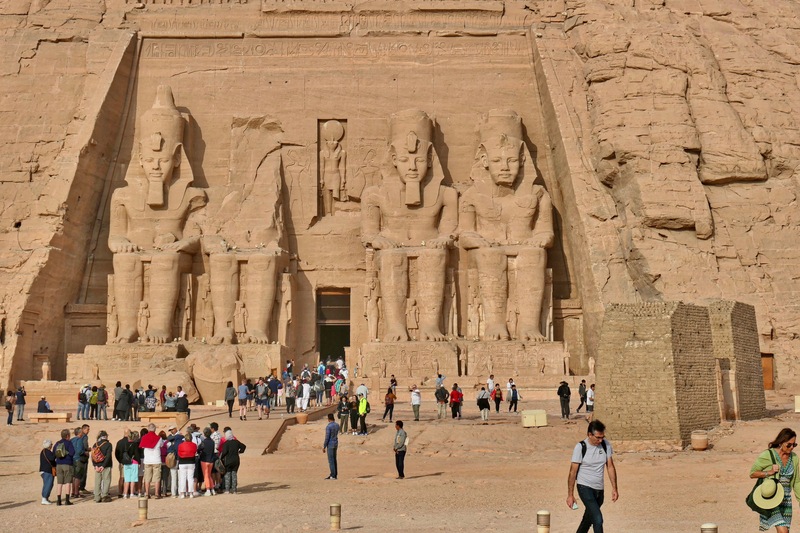 While at Aswan, we ventured further south by bus to near the border of Sudan to see the ancient temples at Abu Simbel. These were moved in a giant engineering project of the ’60s to prevent permanent immersion beneath Lake Nasser when the High Aswan dam was built. Mina, with the umbrella, was our guide and leader. Our tour guide, Mina, was terrific. He spoke slow and grammatically correct French, which was perfect for us amateurs. 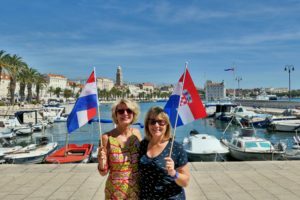 Did I mention that only French and German were spoken on our boat? 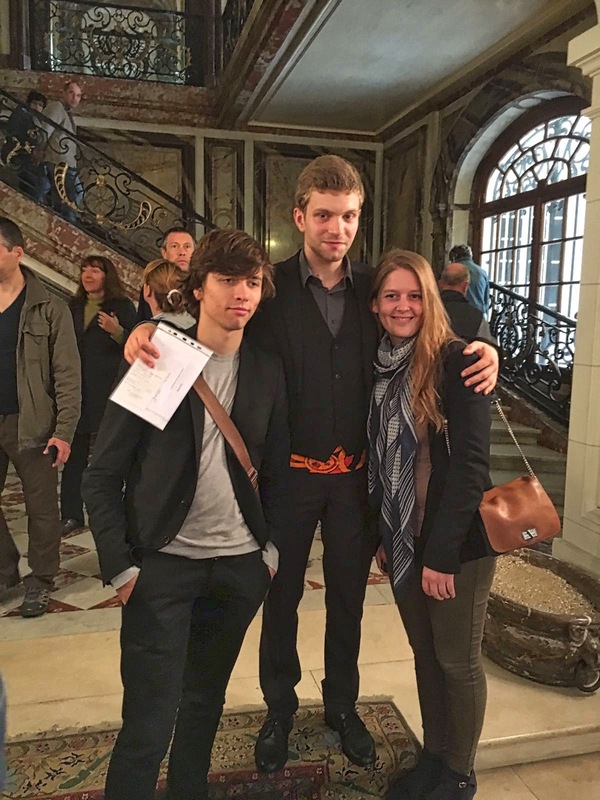 We fell in with our French group (18 total) and benefited from a concentrated course in French conversation. By the end of the trip we were all friends. We had mostly late nights and early mornings to make our tour schedule, and after a week of cruising and touring Egyptian antiquities, most of us were tired. To get over being worn out from touring, we spent a second week in a quiet all-inclusive hotel along the Red Sea at Safaga. 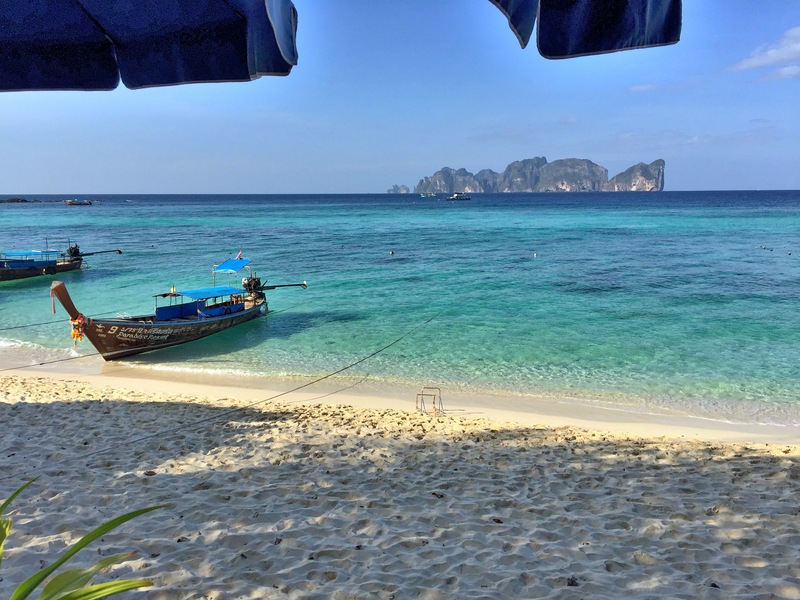 This area primarily attracts diving enthusiasts because of the ample sea life in the off shore reefs. 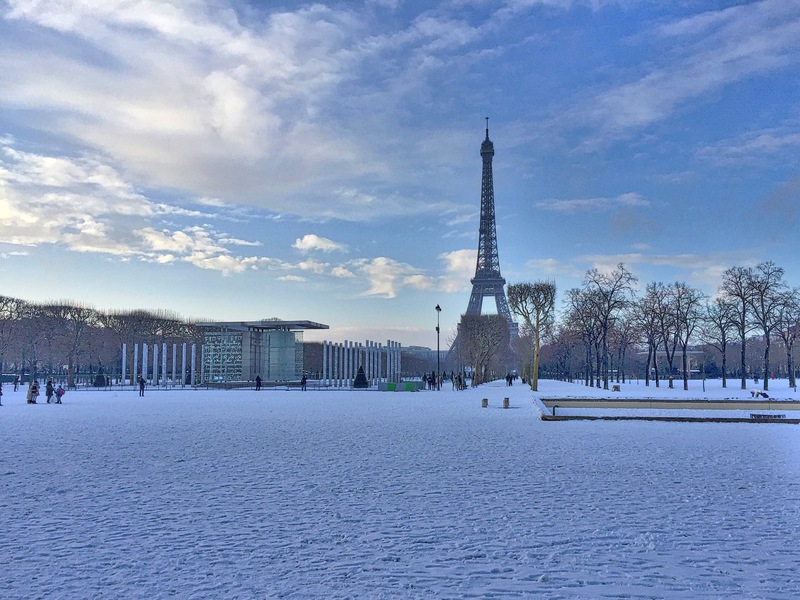 For us it was a chance to relax and enjoy the sunny winter weather. Starting in 2008 there was a push to develop the Red Sea coast for tourism, but unfortunately an economic downturn in 2011 stopped many of these projects, leaving half finished buildings along the way. 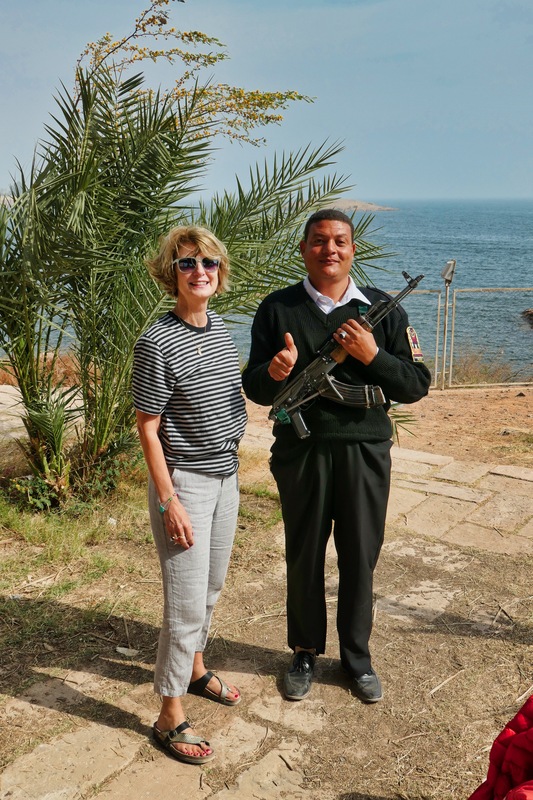 Brenda poses with one of the security guards at Abu Simbel. He has us covered. Security is still a concern. One day we ventured to the busier tourist area of Hurghada to the north. The city sprawls with hotels and unfinished development. We visited a mosque, a Coptic Christian church, and a mall with various shops selling Egyptian goods that might appeal to tourists. The mosque was fenced and guarded at the boundaries. Women had to don chadors, the body and head coverings traditional for muslim women. 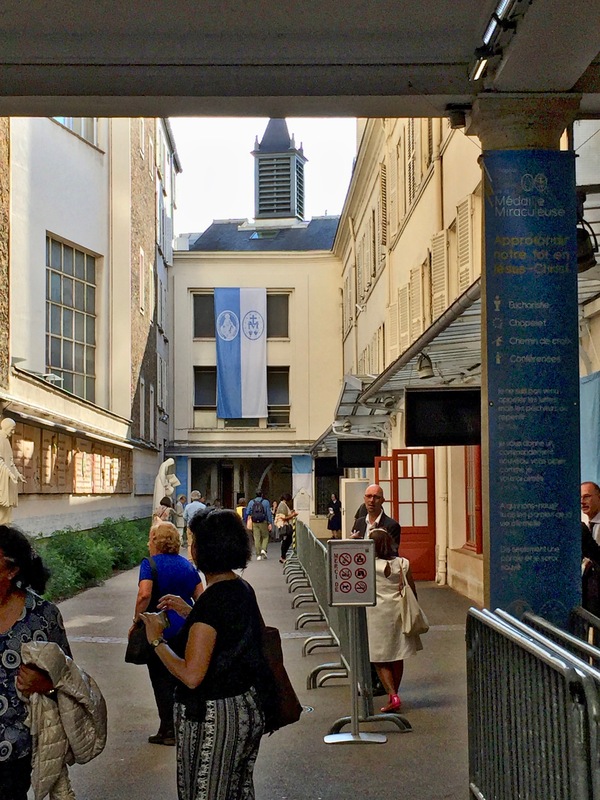 The street in front of the Coptic church was barricaded, and there was security at the entry. We could not visit the local marketplace, the souq, because there had been too many problems with theft and pickpocketing. Our boat and hotel had tight security and armed guards. A couple times we had an armed guard on the bus with us. One morning in Luxor Brenda and I escaped our net of tourist security and went into the town unguided. 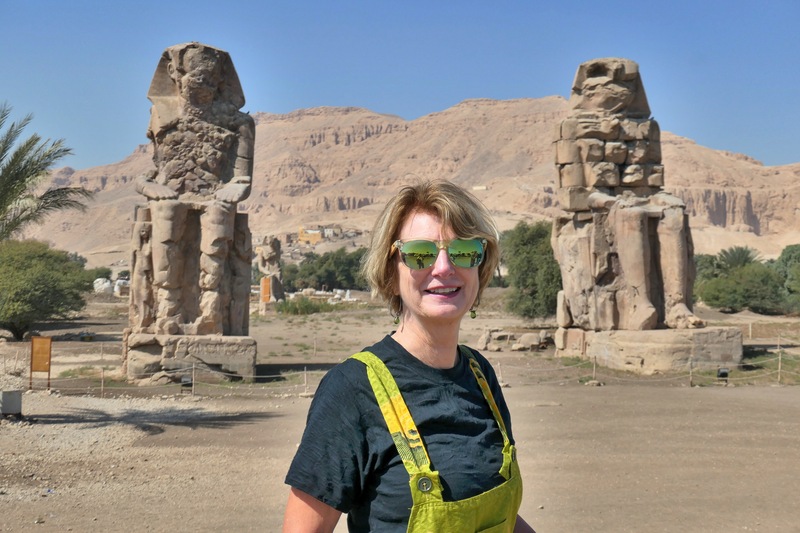 We set out to walk from our boat to the Luxor Museum, about 5 kilometers (3 miles) to the north. 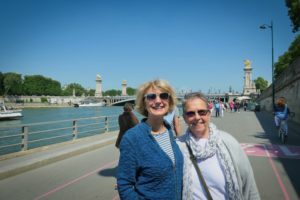 As with every trip into the public, even with guides, we were immediately accosted by people wanting to sell us stuff – scarves, taxi rides, carriage rides. 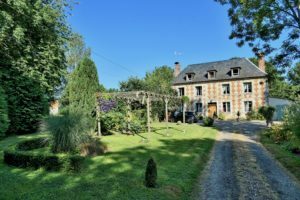 First they greet you – “hello, where are you from? 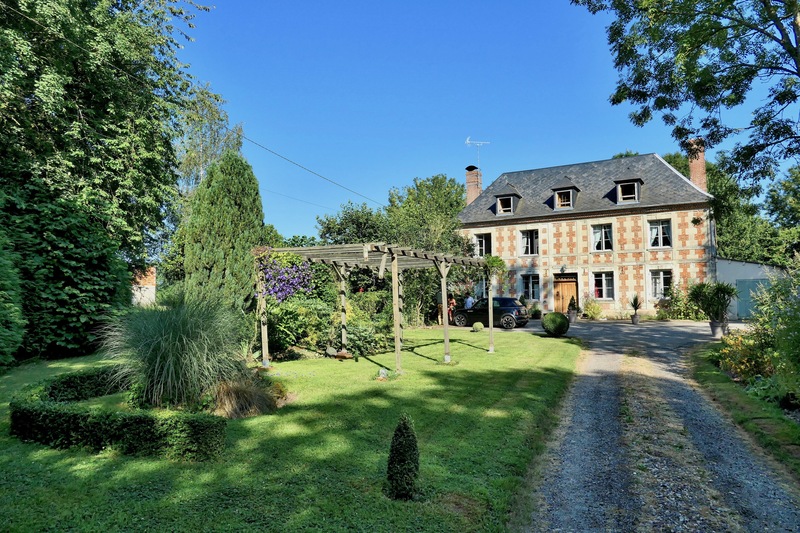 Parlez vous français?” After establishing a language, they make low price offers. As we walked along a man was trotting in his carriage beside me, offering a ride at various prices. 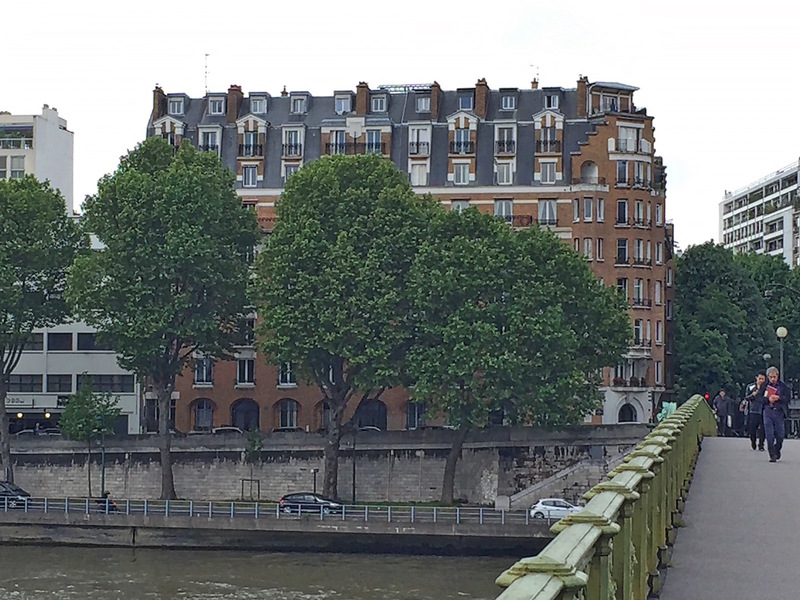 “Non merci”, I kept saying to him and to the many others who approached. One always must negotiate price; nothing is ever as first announced. It’s a tricky game that we don’t play well. Finally, after perhaps 4 kilometers we were approached by a man in bluejeans and a blue working shirt. 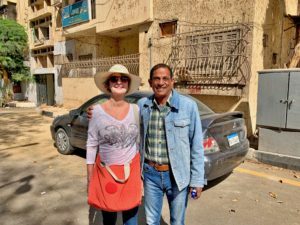 He said his name was Mr Sisi and that he worked at the Tourist Bureau, that no one would bother us when he was around. Mr Sisi spoke the best English of anyone we met in our travel to Egypt. He told us he met his wife in Minnesota when he lived in the US, and that he spoke 6 different languages. Then he told us what a rip off it is to go to tourist shops with our guide, who probably gets a portion of whatever is sold, adding that he knew of a market where the prices were fair and a portion of the proceeds would go to benefit the children. I asked if he wasn’t actually the President of Egypt (whose name is el-Sisi). He said no, he didn’t have time for that. He mentioned that the Luxor Museum only takes Egyptian pounds for entry fees. We only had Euros and a credit card. He led us over to see his market, and eventually we found ourselves sitting in front of Mr George, who was a jeweler. He showed us movies of himself and his son making jewelry in their family business. Brenda found a piece she liked, and he told us the story of it. He quoted an enormous price, which we did not agree to. He kept talking about it. Since we were friends of Mr Sisi, he could reduce the price by 40%. Because we were his first customer of the day, he could reduce by another amount. Since he liked us, he could come down some more. Eventually he offered a price that was about 20% of the original price. We agreed to this amount and paid. I’m sure we still overpaid, but it was quite an adventure. We lost interest in going to the museum and decided to head back to the boat. Mr Sisi, true to his every word, made all arrangements for us. I gave him a tip for all his hard work. Temple of Khnum at Esna. 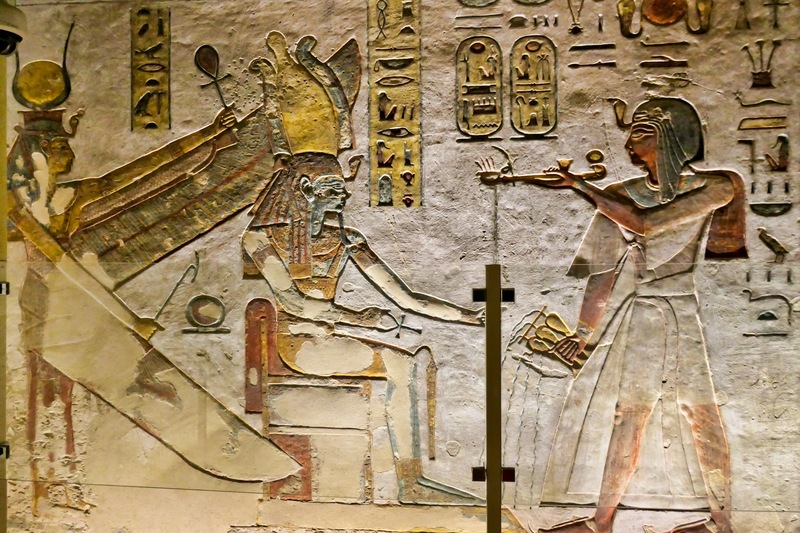 King with queens of upper and lower Egypt approaching temple to honor Amun-Ra. This part built by Romans/Greeks about 150 BC. 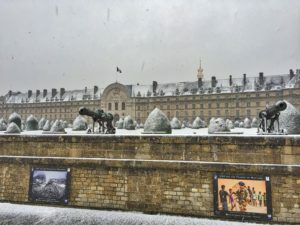 On vacation I had the sense that what was in my guide book plus what I learned about ancient Egypt during our tours didn’t prepare me to appreciate the scope of what we had seen. 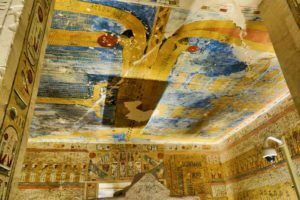 Entering a tomb or temple with hundreds of hieroglyphs and art works provides an overwhelming experience of the very ancient art and the enormity of effort to construct these monumental works. I found myself asking what all this was about and why. So I bought a book on Egyptian Art. Though I still don’t know much, here’s a little more. The Great Pyramids, the Sphinx, and the wonderful Cairo museum, as well as many ruins, are in the heavily populated north of the country. 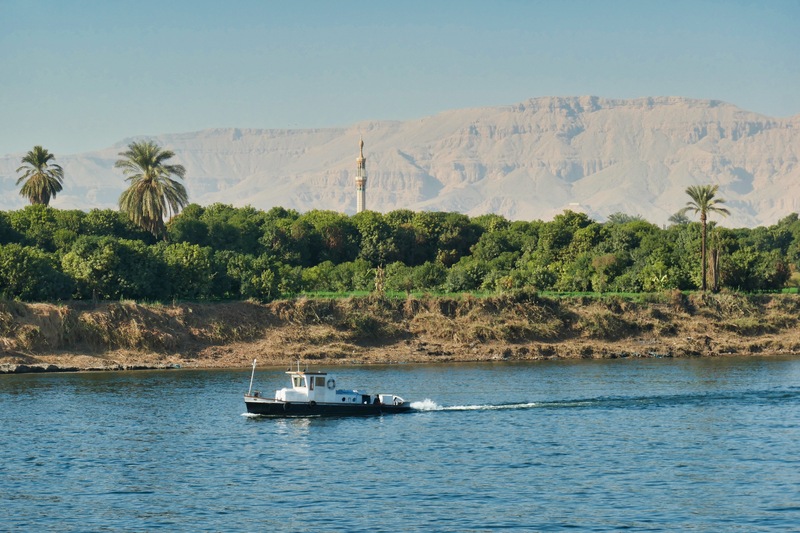 However, the temples and tombs of the New Kingdom at Thebes (1500 – 1100 BC) and further south are better preserved and offer a better way to appreciate how the tombs and temples were arranged in relation to the settlements, not to mention the opportunity of cruising the Nile, seeing the Aswan Dam developments, several later temples built under control of the Greeks, and the magnificent restoration of Abu Simbel almost at the border of Sudan. 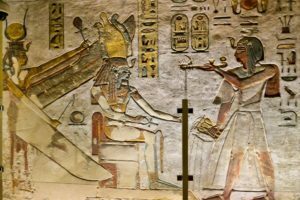 What is most striking is that the mythology, the artwork, the design of temples and tombs, and the basic organization of society hardly changed over the entire 3000 years of ancient Egypt. The temples and tombs and gods and goddesses of the Old Kingdom (3100 to 2100 BC) and the Middle Kingdom (2000 to 1650 BC) were like those of the New Kingdom and even like the temples built under Greek rule after 331 BC. Admittedly the tombs changed from pyramid design to underground structures, but the elements of design, the gods represented in typical art works, and the traditions of burial were not significantly different. Two elements assisted in maintaining this incredibly stable society. 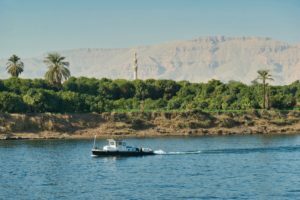 One was the agricultural wonder of the Nile valley, where spring rains overflowed the banks and revitalized the desert soil every year, making crop production much easier than in other parts of the world. The second was a creation myth that explained that even before there was humanity, fundamental principles governed our world, not just principles of physics and mathematics but also of authority and morality. Everything a person might seek or need in his life had already been given. 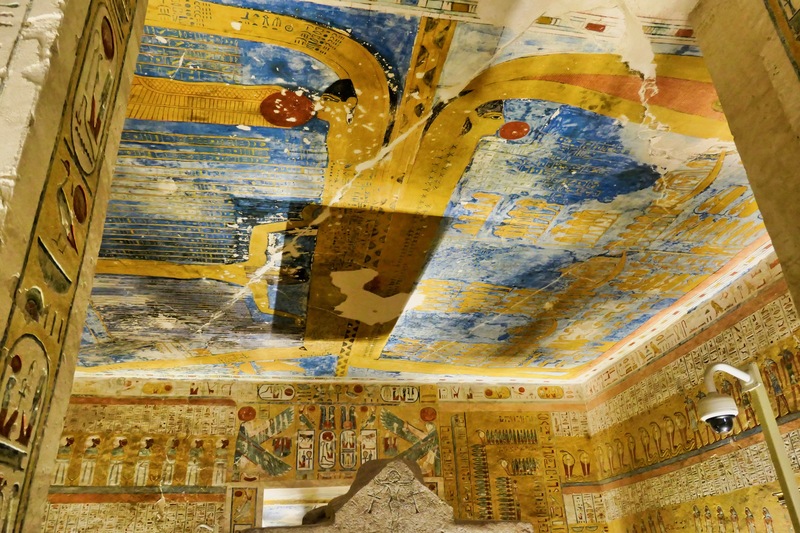 Ceiling above the sarcophagus of one tomb shows Nut, the sky goddess and Osiris mother, held up by Shu, her father who separates the sky from the earth. Nut swallows the sun each night and gives birth to it each morning. Karnak Temple, Luxor, Statues of Ramses II and Great hypostyle Hall, about 1250 BC, looking south along the path towards towards Luxor Temple. Unlike anywhere else in that era (Mesopotamia excepted), Egypt could produce enough food so that a portion of society didn’t need to farm. Egyptians organized society to use the crops as the taxes paid to the pharaoh, who in turn used the taxes to support an enormous cultural effort to honor the gods, the kings as they passed to the next life, and to a lesser extent other officials deserving recognition for their contributions in helping society honor the Truth. 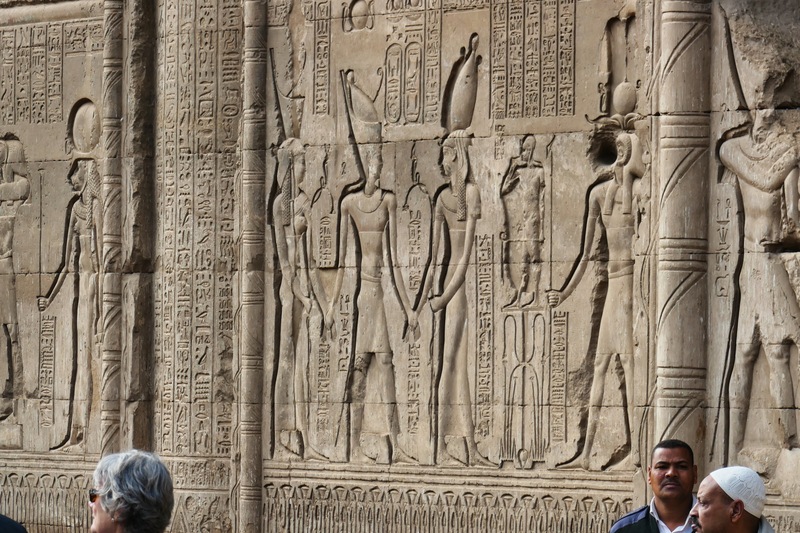 Entrance to Luxor Temple. 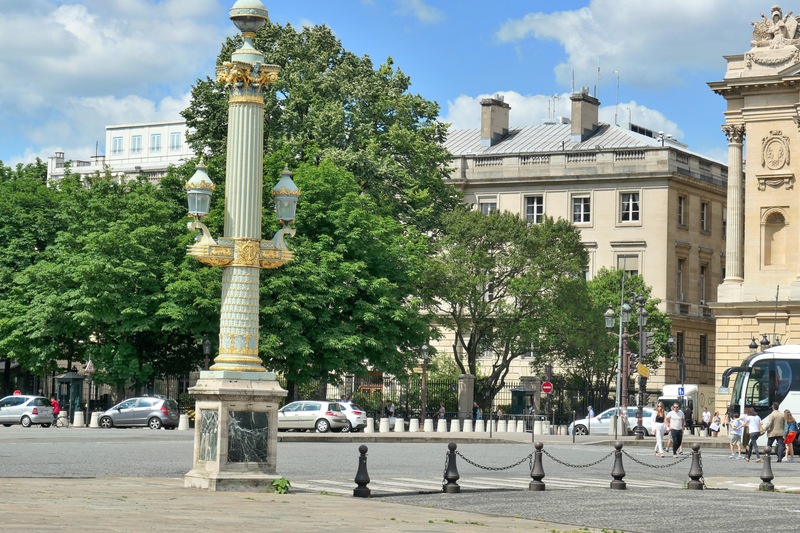 Twin of the Obelisk (about 1250 BC) shown rests at Place de la Concord, Paris, a gift to France in 1830. During the inundation festival, statues of the gods would sail here from Karnak to greet the god Amun-Ra. The king must have spent much of his time traveling from temple to temple celebrating festival after festival away from his grand residence. The New Kingdom pharaoh was, as with the earliest of pharaohs, as much a figure in social and religious ceremonies as he was the central figure of government. Thebes was designed to accommodate the festival routes of Amun-Ra. 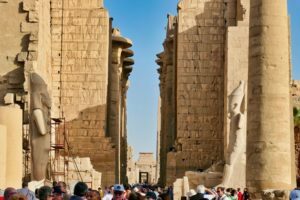 North and South there were the temples of Karnak and Luxor, and between them was a sphinx-lined causeway running parallel to the river. 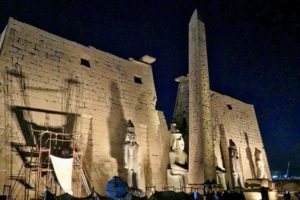 Karnak also had a second axis east and west to celebrate the dry season through a festival from Karnak to the king’s mortuary temples near the Valley of the Kings. The Temple of Hatshepsut remains mostly intact, the lone remaining mortuary temple. The Colossi of Memnon were statues at the entrance to the mortuary temple of Amenhotep III, 1352 BC, the largest of the temples in the dry season procession from Karnak west to the mortuary temples of the kings. 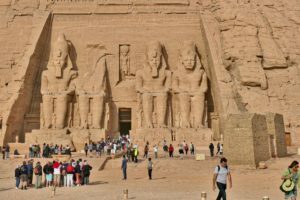 Great Temple of Ramses II at Abu Simbel, 4 statues of Ramses II, about 1250 BC, stare impassively outward, inviting you to make an offering. 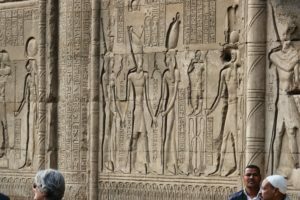 “The art of ancient Egypt represents a committed attempt throughout the centuries to illustrate human lives in a context that does not move on or pass away.”8 For nearly 3000 years Egypt remained this beehive of human activity responding to the Truth, the unchanging fundamental principles of its very creation. Imagine how much different that is from our worldview of progress, scientific revolution, and individual attempts to achieve freedom, equality, nirvana, agelessness, peak experiences, etc. In our society we seek progress towards perfection. In ancient Egypt, perfection was already there, and the challenge was to accept the Truth and adore what was already perfect and present from the creation. To see more photos of our travel to Egypt, including more about our time on the Red Sea, follow this link to a Photo Tour. Happy New Year! 2018 ended for Brenda and me at an all-French party with friends and friends of friends in their home south of Paris. We returned to our apartment at about 4am this morning. Cafés and bars in our neighborhood were still going strong and there was lots of traffic. Über was charging surge prices. It’s sad to think that another Christmas season has passed so quickly. 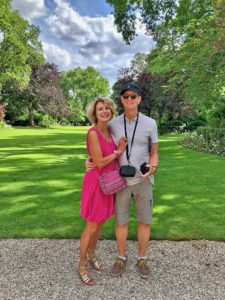 Without trying to add too much detail, I can say that our 2018 was another year of traveling abroad and back to the US, meeting friends here in Paris, and taking advantage of some of the cultural opportunities that come our way in this part of the world. Just to name of few of the people who visited (I know I’ll miss some), Barb Maxey from Poulsbo stayed with us over Christmas and New Years 2018. Martha Pendergast (also from Washington) stayed with us in March. Patti and Bill Wilson (Washington) visited us in April. Cami Gurney (Washington) stayed with us in May. 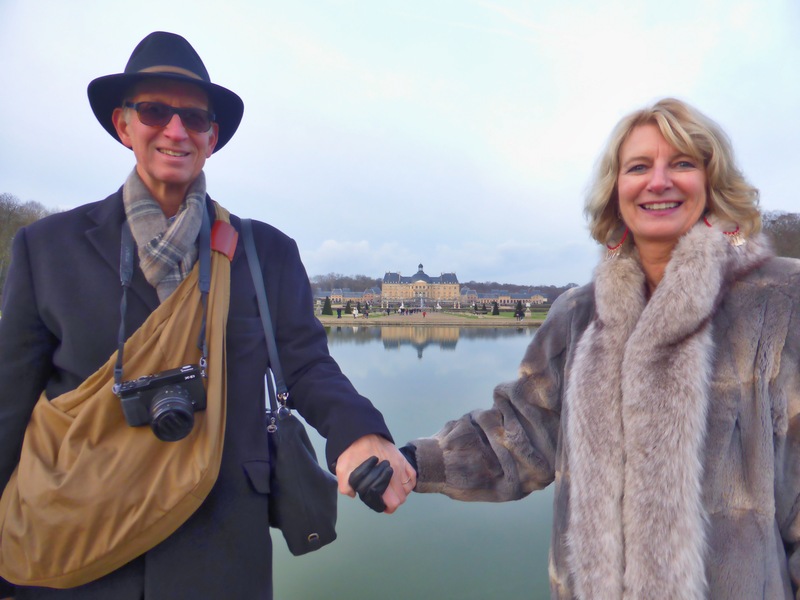 Dianne Rodway and John Becker (Portland) visited us in September. Kelly and Linda Lunn from Portugal stayed with us in October. 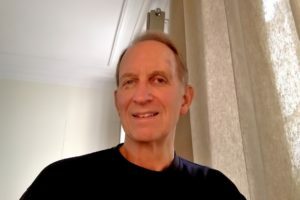 Plus we’ve had a host of others whom we’ve met for dinner or at our apartment: MaryLou and Paul Vibrans, Brian Dunhill, PK McLean, Rick Anderson and Louise Rosenbaum, Pam Perry and Jane, Nancy Whitaker, Chad Zinda and partner Felix, Ward Fuentes, Hermie and Virgil Valdez. 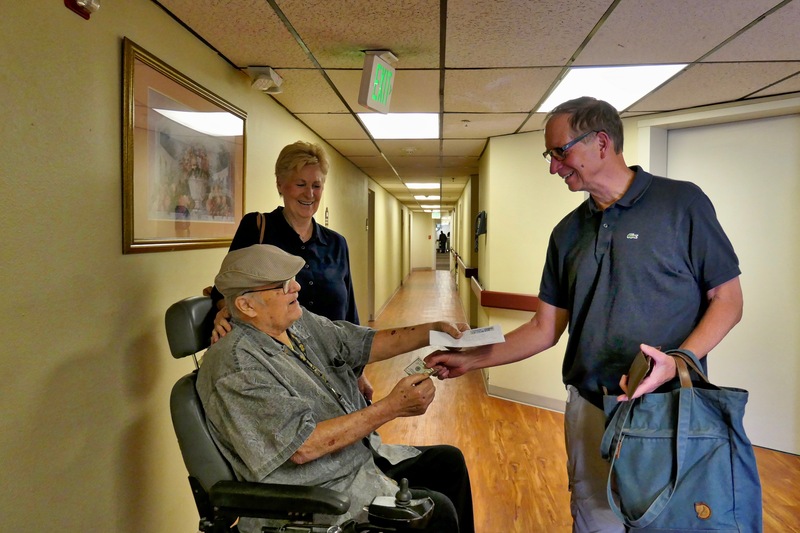 Presenting Gary Carlson with $50. We traveled quite a bit. Brenda went back to Spokane to see her mom in February, May, and September, and I was able to join her in May, when we all competed in the Bloomsday 12km road race. 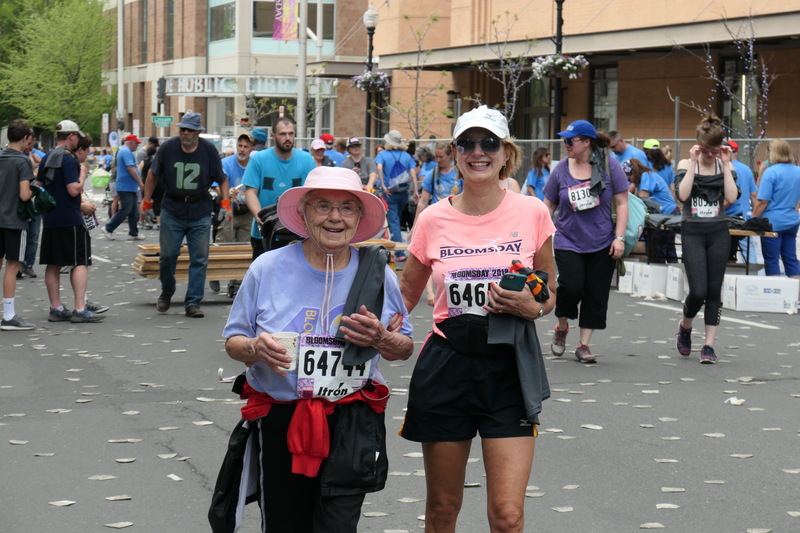 Though Brenda and I finished out of the money, her mom placed 3rd in her age group for the second year in a row. On the same visit to Spokane I was able to pay off my outstanding debt for the 2017 Army-Navy Game to Army veteran Gary Carlson. We had been haggling over payment terms, but I was finally able to satisfy him by personally presenting a $50 bill. Unfortunately, Gary passed away in June, which was a very sad occasion. Though I would have lost the bet again this year, I very much miss the banter we had regarding the Army versus the Navy. We spent nearly three weeks in Thailand with our French friends Cat and Jacques. 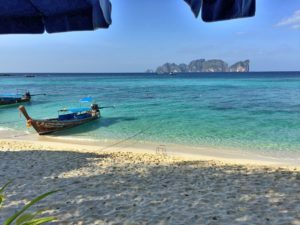 We visited the beach areas of Ao Nang, Ko Lanta, Ko Phi Phi (with its breathtaking beach), and Phuket, with the unbelievable Songkran celebration of the Thai New Year at Patong Beach. Thousands celebrate the New Year by shooting each other with giant squirt guns or dousing each other with buckets of water. We returned from dinner soaked to the skin. We also spent several days in Bangkok, which was spectacular. 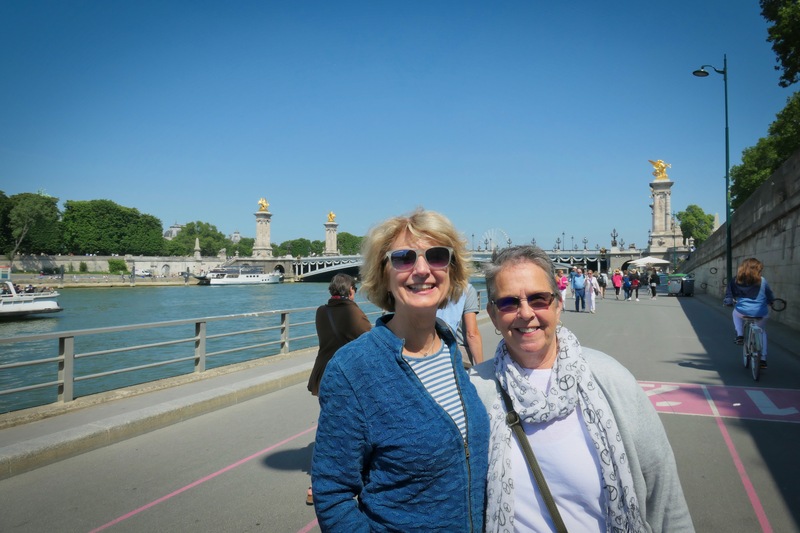 Brenda with Alison Fankhauser – they were school teachers together in Australia 40 years ago. In July we went to Brussels, where our financial advisor Brian Dunhill invited us to celebrate Ommegang with the American Club of Brussels. The evening featured a wonderful dinner followed by a traditional pageant that ends with guys on stilts fighting to topple each other in the town square. Also in July we were in Normandy with Cat and Jacques, and later a week in Nice at the apartment of friend and Paris real estate expert Adrian Leeds. 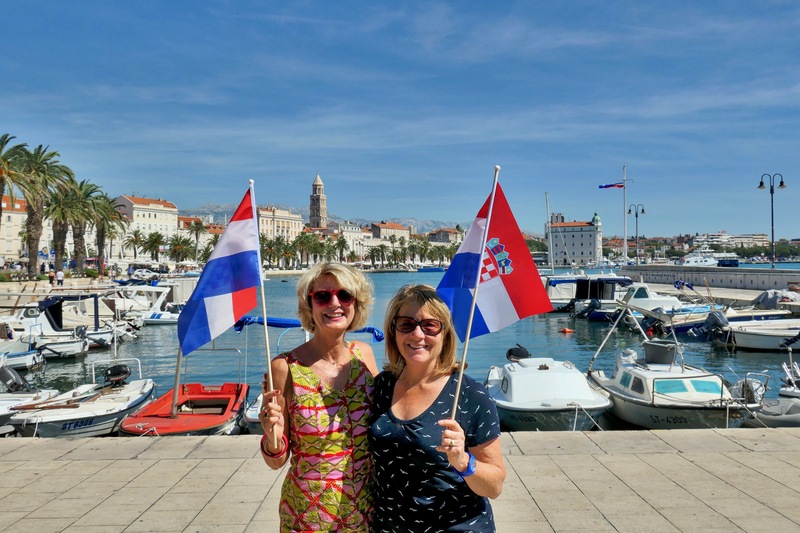 In September we spent a few days in Amsterdam with Poulsbo friends Wally and Wendy Hampton, and then later in September met our Australian friends Dean and Alison Fankhauser in Split, Croatia, prior to their big bike trip along the Dalmatian Coast. 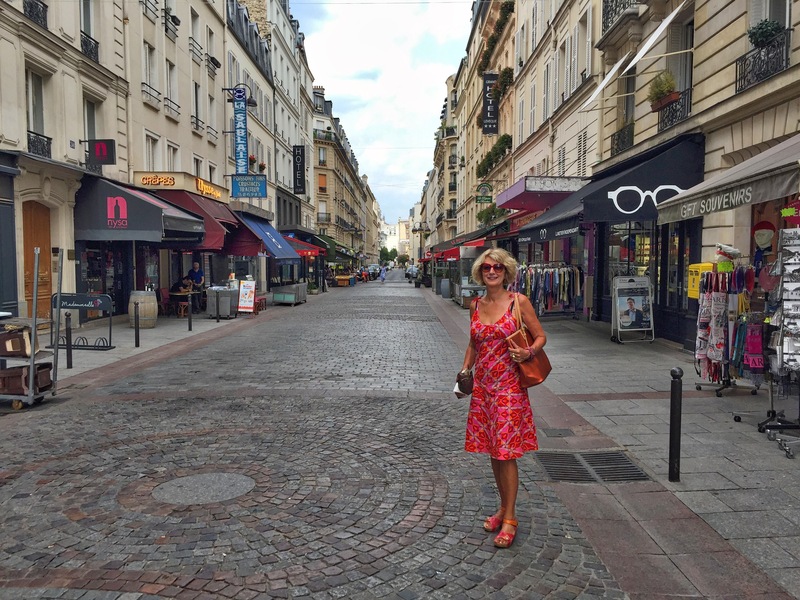 In our spare time there were concerts, art galleries, and local events here in Paris. I went to the top of the Eiffel Tower for the first time. 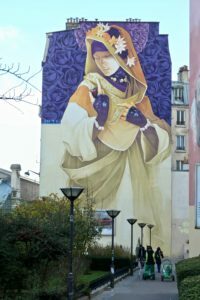 Just to mention a couple of the less-well-known events we attended, there was a stunning multi media presentation of the artwork of Gustav Klimt (and others) at Atelier des Lumières, projecting an hour of ever changing artwork on all walls and the floor choreographed to beautiful music. Attendees were immersed and wandering around in the art. We also went on a street art tour in the 13th Arrondissement, where our passionate presenter spent more than 2 hours enlightening us about the fundamentals and the motivations of the artists, and new involvement of the Paris government in promoting this form of artistic expression. There were the usual ups and downs in daily life. 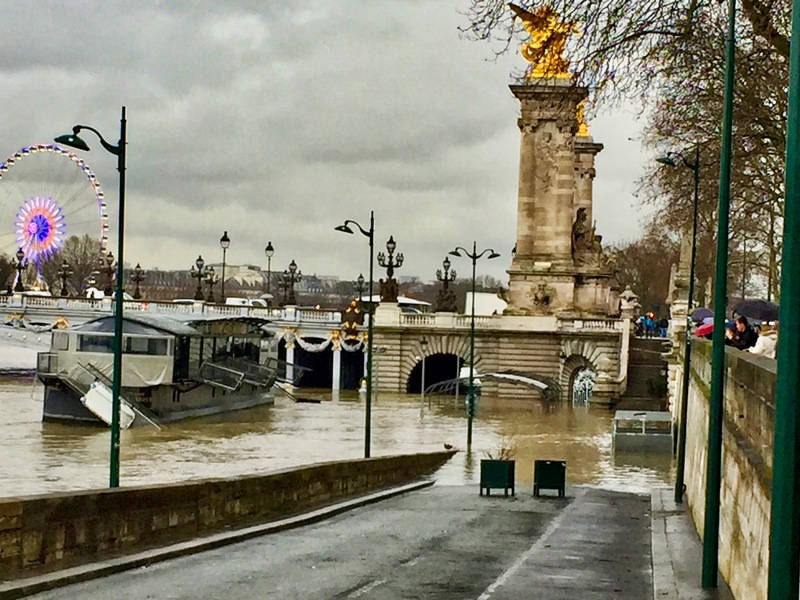 In late January there was historic flooding and high water on the river Seine that closed my running route by the river for two months. 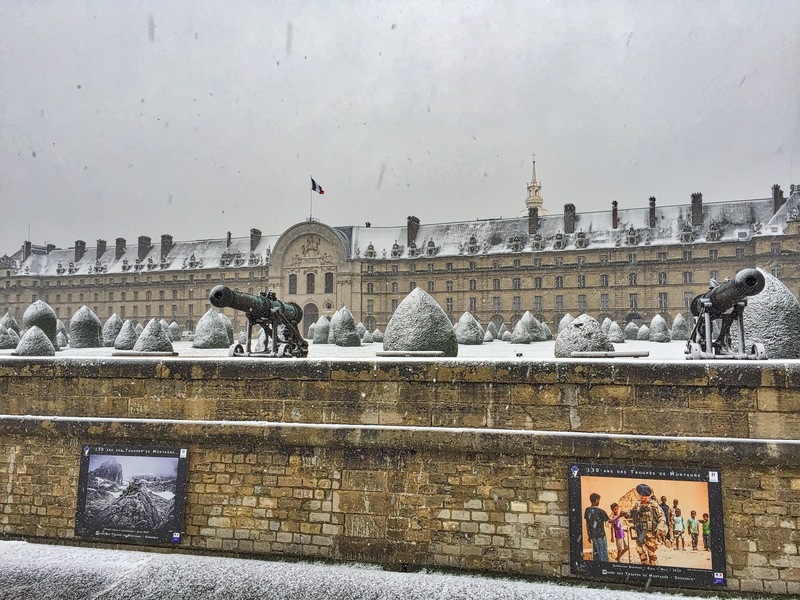 In early February there was a historic snow storm. There were the Giles Jaunes (yellow jackets) riots on the streets of Paris over the past month. These were very disruptive but also occurred at specific well advertised locations, so the overall effect was much less dangerous than it appeared from the TV coverage. I fell while running one time and hit my head on the pavement, causing a nice bruise. 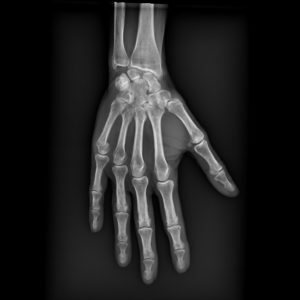 Brenda broke her hand in a fall while running, but she didn’t know it for a month. Now we tell each other « pick up your feet » before each run. I finished reading Les Misérables in French. I joined a monthly poker game. We went to two wine tasting events, where we learned there is a wide variation in how people taste wine, and that there is no reason to believe the point score of experts or the high prices of big name wineries as indicators of what wine would be best for you. Often in a blind taste test, a lower priced wine may be very competitive. So trust yourself. The year ended with another wonderful Christmas Eve with Cat and Jacques and family. I spent a long time looking over with Cat’s father his cruise book from his time in the French Navy in the late 1940’s. My French is improving (but still has a long way to go). 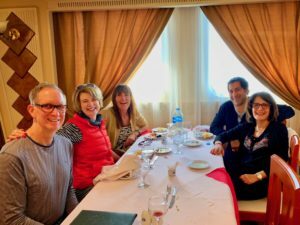 We also hosted our friend Barbara Hoehfeld (from Frankfurt) and her daughters Pascale (from Paris) and Ingrid (from Israel) and other family members on December 26th for a buffet lunch. 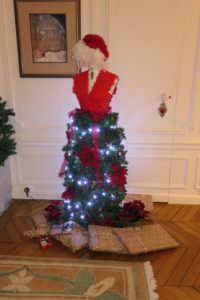 Brenda created a beautiful mannequin Christmas tree, and we strung lights on the fireplace mantels and windows.